Notes: 1/RMLI lost 132 killed and 210 wounded out of about 500 men. 2/RMLI suffered similar losses: only 1 Officer survivng the attacks. These made advances of about 500 Metres. 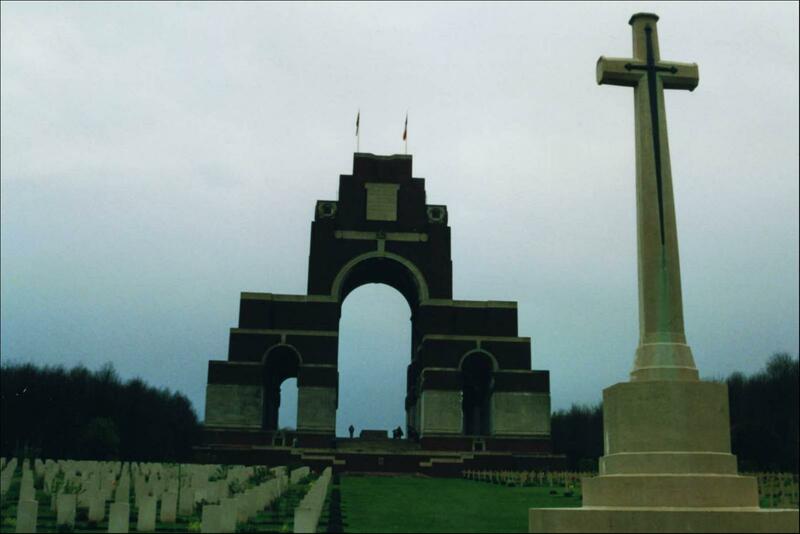 ( See also Thiepval 2 ) Inscription: Thiepval, The Somme, France. The Royal Marine Light Infantry, as part of the Royal Naval Division, fought on the Somme front.